Every business has a target audience, but within that target audience are smaller subgroups of people. They share certain characteristics, and have specific wants, needs, and preferences. These smaller subgroups are called niches, and are a rich source of marketing opportunities. Niche marketing is a form of marketing that is geared toward a very specific population, or niche. Niche marketing is possible when a business specializes in a particular service, or serves a particular demographic within its target audience. If the business forms its marketing endeavors around this subgroup, this business would be in the practice of niche marketing. With a niche strategy, you leverage your expertise in one area to stand out from your competition. You may provide other products or services, and you may serve a broader audience, but specializing in one area helps you to distinguish your business. Let’s say a landscaper’s target audience is comprised of owners of residential property, as opposed to owners of athletic fields, office courtyards, or college campuses. Within this target audience are various types of homeowners, based on region, neighborhood type, income level, and lawn size. An example of a niche here would be wealthy estate owners, or wealthy estate owners who have organic plants or prefer eco-conscious landscaping. The landscaper provides basic lawn care services for average income homeowners as well, but his niche is wealthy estate owners. If there are enough wealthy estate owners in his area, the landscaper might only market to this demographic. If not, he might use this niche to market to all homeowners, by showcasing a beautiful estate lawn in a Facebook ad image, or catering his content around being the only eco-conscious landscaper in his area. Niche marketing isn’t for every business, but if you have the opportunity to cater your business toward a niche, there are many benefits to be had. Niche marketing targets a very specific kind of customer, so depending on what you’re promoting, your niche market may be very small. For example, if you are a physical therapist, there are only so many expectant mothers who are looking for physical therapy for hip issues. A small customer base has its benefits. When you are engaging with fewer people, you can focus on the quality of those engagements and on nurturing your relationships. Your emails can be more personalized, your follow ups more diligent, and your thank yous more frequent. You can also accommodate special requests, offer custom services, and get to know your customers on a more individual level. Each of these practices will enable you to better serve your customers, further enhancing your relationship with them and solidifying their loyalty to you. However, if you have a small niche, be careful not to pigeonhole your marketing. If your niche is just a part of your target audience, make sure your efforts on your niche are boosting, and not detracting from your efforts on your target audience. This is one of many important considerations to make when forming a niche market strategy. When you have a highly specific product or service, there will be less companies out there with the exact same offering. For example, there are millions of companies out there that sell knives. There are fewer companies that sell knives with handmade wooden handles, and yet fewer that offer customized knives with your initials on them. The more specific your product or service, the less companies there will be to compete with you for customers, and the harder it is for them to duplicate your strategies. While it’s important for companies to have competitors, reduced competition is not necessarily a bad thing. The less competitors you have, the less you have to worry about monitoring prices and keeping tabs on what they’re up to. At the same time, the more specific the product is, the less people there will be that are looking for it. Reduced competition is only a benefit of niche marketing when there is a significant audience to compete for. If your competitors aren’t targeting a niche because they can’t meet their needs, then that’s great news for you. If they aren’t targeting that market because it’s not lucrative, then you may not be at an advantage. Increased visibility is a benefit of niche marketing that not only leads to more customers but can also improve your online presence. Businesses that serve a niche market tend to be unique, such as a cleaning company that uses all natural cleaning products, a gluten-free bakery, or landscaper that creates interesting mowing patterns. Businesses with a unique product or service tend to stand out, and often get featured in media outlets such as talk shows, radio stations, or newspapers. With niche marketing especially, getting in front of the right people is more important than getting in front of a lot of people. However, getting in front of a lot of people such as through these media outlets also has its benefits. The more people who know about your business, the more people there are to recommend your business to a friend who fits your niche market. Another benefit of niche marketing is that it is very word-of-mouth-friendly. People in a niche tend to be in frequent contact with others in that niche, which means more opportunities to get the word out about your business. For example, expectant mothers attend prenatal fitness programs, take childbirth education classes, and shop at maternity clothing stores, where they meet many other expecting mothers. If you are a prenatal yoga instructor, your current customers will be some of your best marketers. The better you serve them, the more likely they are to recommend, and maybe even rave about, your services to their many fellow expectant mothers. Niche marketing requires more concentrated practice in one area, so it can really fine tune your expertise in a shorter time period. The benefit of niche marketing is that it enables you to become an expert or thought leader in your niche. For most customers, expertise is more important than size or brand name. A small law firm that specializes in immigration may be chosen over a larger law firm with a familiar name. When it comes to legal, financial, or health services, people want the business that has the most knowledge and experience in their area of concern. 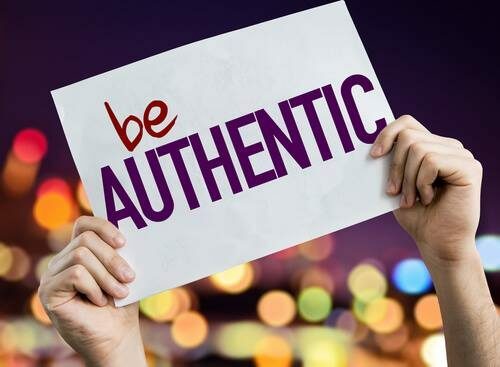 When you are an expert at something, not only do you obtain more customer trust, you also gain more brand recognition. If you do everything, you’re going to be average at everything, and you will blend in with the crowd. If you do a lot of things but are really good at one specific thing, you will stand out. You may be even become known for that specific thing. This won’t detract from other services you provide. The key here is that you become known. People may learn about your business because of a specialty you provide, even if they’re looking for a different service you provide. One important part of effective digital marketing is identifying and understanding your audience, which requires an investment of time and money on data and analytics tools. 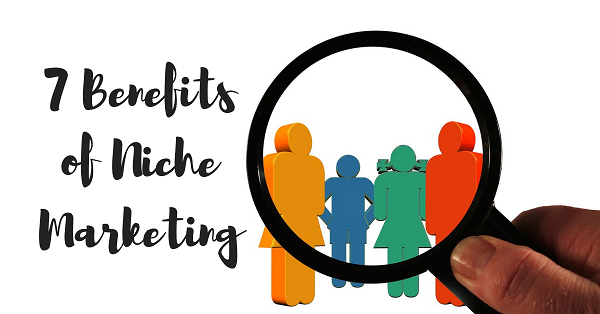 The benefit of niche marketing is that because you are confined to a specific person and a specific need, less focus is required on digging into your data to understand and keep up with their needs. You will also be doing less trial and error with your methods, which also can be resource-heavy. Another cost effective benefit of niche marketing comes from audience segmentation. Businesses with a broad audience will have various segments within that audience. Successful content, ads, and communication channels will look different for each segment, and catering your methods to each segment requires more effort and bandwidth. When you serve just one demographic, you have less work to do. You can also operate more seamlessly and give your undivided attention to this one area. Businesses don’t always pick their niche and pursue it. Oftentimes, they accidentally find their niche in the process of serving their target audience. A photographer whose target audience is people (as opposed to landscapes or animals) may find that she is especially good at capturing candids of children. A landscaper might find that he particularly enjoys jobs in senior citizen communities. A financial adviser may find that he works better with teachers. The benefit of niche marketing is that since your niche arises from your interests, passions, or special abilities, you are doing more of what you love. Whether your business serves only your niche, or a niche among other audiences, the purpose of niche marketing is the same. You want to find a small pond in which you can be a big fish. If you compete for everything, you’re going to win at nothing. However, if you pick one area to concentrate on, you can focus your efforts and stand out in your market.